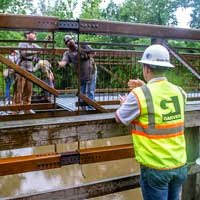 Construction crews in North Little Rock, Arkansas recently replaced the pedestrian bridge over Shillcott Bayou in Burns Park. 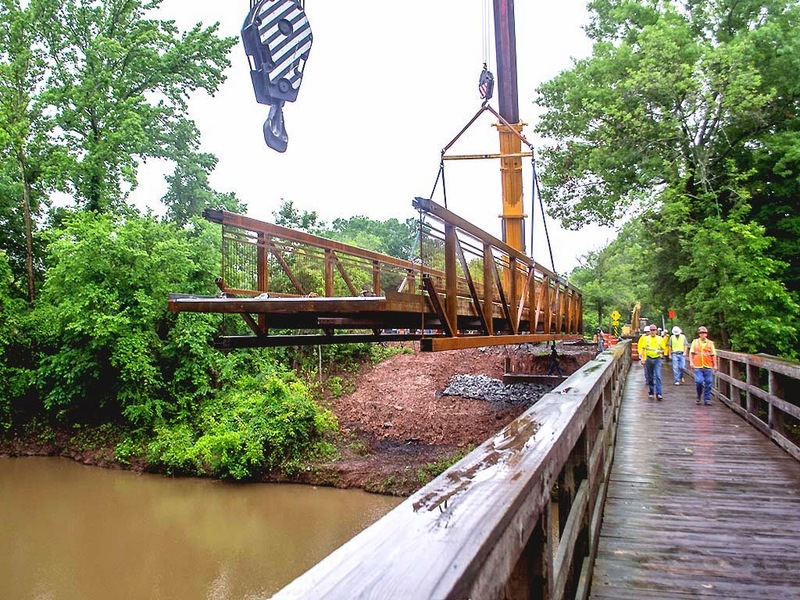 The 145-foot steel truss span bridge with a reinforced concrete deck will replace an old wooden bridge on the Little Rock metro area’s Arkansas River Trail, which is a favorite amongst the city’s bicyclists, joggers, and walkers. Garver provided surveying, conceptual planning, environmental handling and documentation, geotechnical engineering, final bridge design, bidding, and construction observation services to replace the bridge, which is expected to be open in July 2014.